Your sitemap is used to manage the content that is shown to search engines for each of your domains hosted on HubSpot. Sitemaps help search engine web crawlers determine the structure of your site so they can crawl it more intelligently. Click View XML file. This will open your sitemap in a new tab or window. You can also add /sitemap.xml to the end of your website domain and paste the address into a website browser to navigate to your sitemap.xml file. Click the Domain dropdown menu and select a sitemap. To add a new page to your sitemap, click + Add a page. In the dialog box, click the Choose a page dropdown menu and select an existing page published on this domain, then click Add. 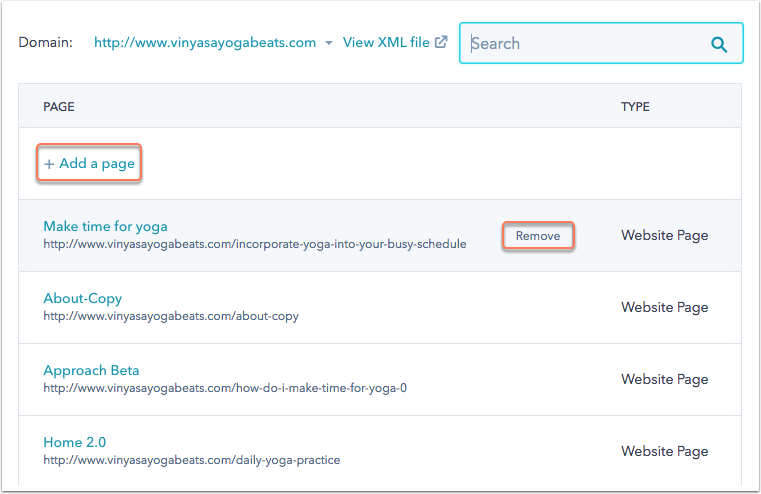 To exclude an existing page from your sitemap, hover over a page and click Remove. To further customize the pages in your sitemap, hover over a page and click Options. Click the Change frequency dropdown menu to select how often this page updates and should be crawled. 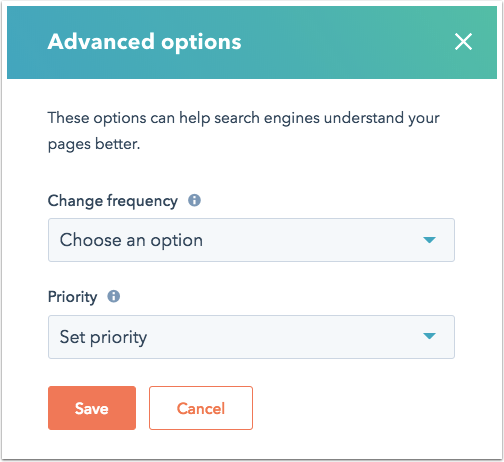 Click the Priority dropdown menu to rank how this page compares to the other pages on your site. In the bottom left, click Save to take your edits live. Removing a page from your sitemap will not explicitly tell search engines that a page should not be indexed. Learn more about blocking your pages from being indexed by search engines. 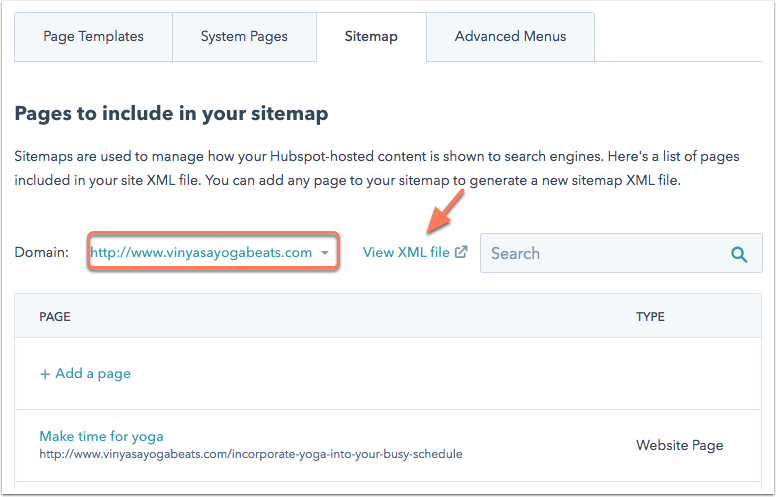 HubSpot automatically adds your live HubSpot-hosted website pages and blog posts to your sitemap. Landing pages are not added automatically and must be manually added to your sitemap. Your sitemap.xml file will include the required <urlset>, <url>, and <loc> tags, as well as the optional <lastmod> tag. There is no way to add additional tags to your CMS sitemap.xml file.